Dr. Chad Patton is a board certified, fellowship trained orthopedic spine surgeon and is the Director of the AAMC Center for Spine Surgery. Dr. Patton specializes in the surgical treatment of spine-related disorders, including degenerative conditions of the cervical and lumbar spine, disc herniations, spinal stenosis, compression fractures, spinal tumors, as well as adult scoliosis and spinal deformity. Originally from Kentucky, Dr. Patton completed his undergraduate studies in Neuroscience at Vanderbilt University in nearby Nashville, Tennessee. He subsequently obtained a Master of Science degree in the treatment of spinal cord injury using human stem cells, as well as his Medical Degree, from the University of Louisville School of Medicine. Dr. Patton then completed his residency training in Orthopaedic Surgery at the University of Vermont School of Medicine. Prior to moving to Annapolis, he completed an additional year of fellowship training in Spine Surgery at the University of Utah School of Medicine where he worked with both Orthopaedic spine surgeons and neurosurgeons. 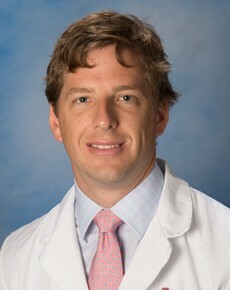 Dr. Patton graduated medical school as a member of the AOA Honor Medical Society and has a strong background in research. As a resident, his orthopaedic trauma research was awarded top honors in the New England region, and nationally recognized by the American College of Surgeons. Currently, his interests focus on measuring patient outcomes (improvements in quality of life and function) after spine surgery. Dr. Patton is a member of the American Academy of Orthopaedic Surgeons, AO Spine North America (teaching faculty member), and the North American Spine Society (former chair, NASS Public Relations Committee; member, NASS Advocacy Council). Vitamin D in Orthopaedics. J Am Acad Orthop Surg, 2012. Psychological Distress in a Department of Veteran's Affairs Spine Patient Population. The Spine Journal, 2011. To learn more about Dr. Patton or his practice, visit his personal website by clicking here. If you have a had a good experience with Dr. Patton, feel free to share on Healthgrades by clicking here.